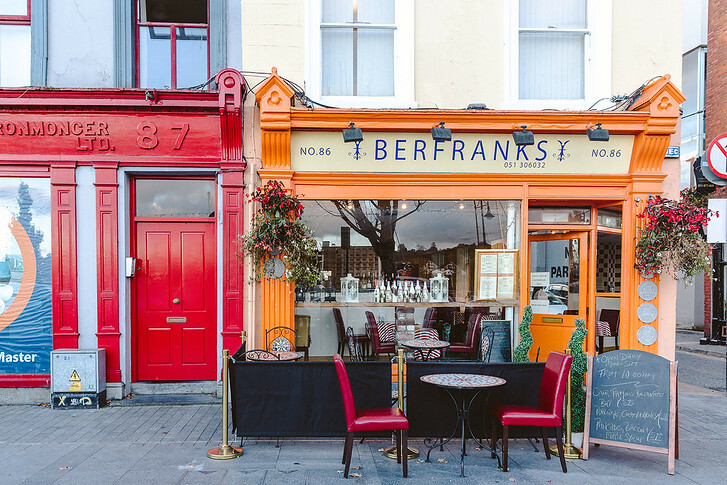 8 Reasons You'll Love Waterford, Ireland's Oldest City! Explore Ireland’s Oldest City and the Sunny Southeast! Before visiting Ireland, I had no idea that the country had a checkered past due to a series of Viking and Norman invasions. Ireland gets so much recognition for the beautiful stretch of coastline called the Wild Atlantic Way, but in my opinion I think Ireland’s Ancient East deserves better recognition! 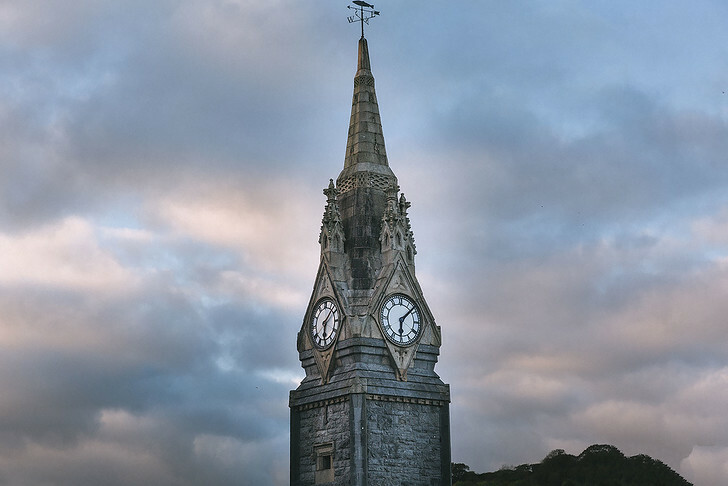 We spent a couple days exploring the counties of Waterford and Wexford, learning about Ireland’s history, sampling local cuisine and soaking in the sights. 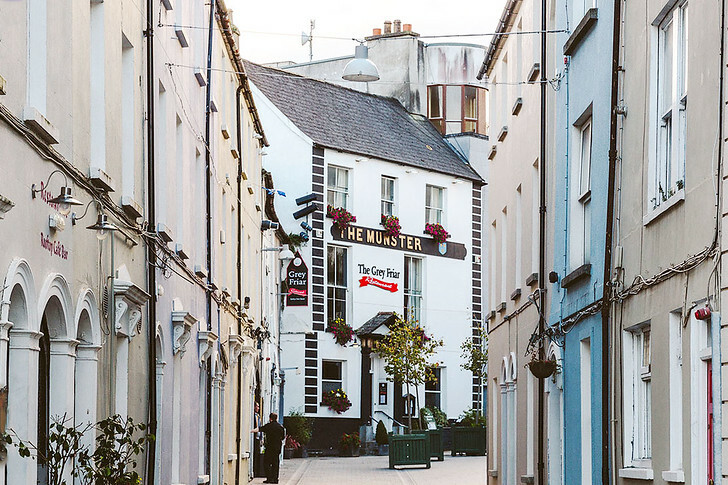 If you like quaint fishing towns, enjoy museums and want to have your fill of incredible Irish seafood, add Waterford to your list! 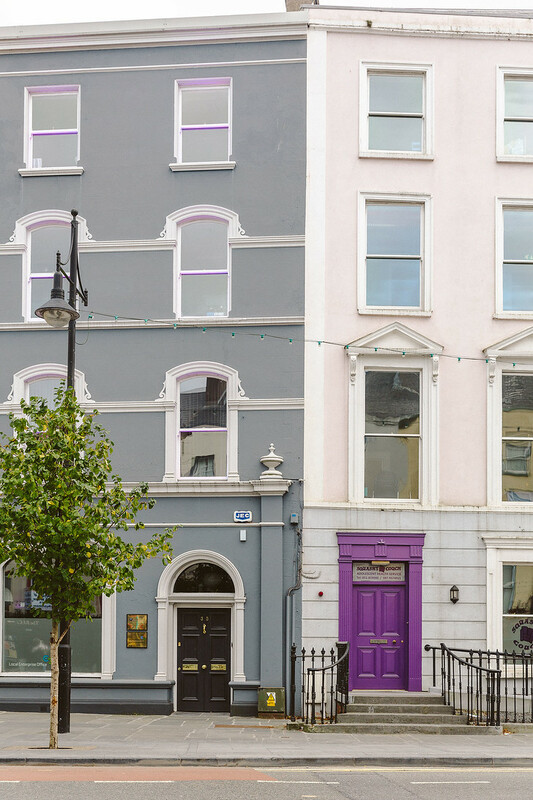 Keep reading for the best things to do in Waterford, Ireland – once home to Vikings! For the best location right in the center of town, stay at Dooley’s Hotel. Rooms have great views over the harbor and prices are reasonable. 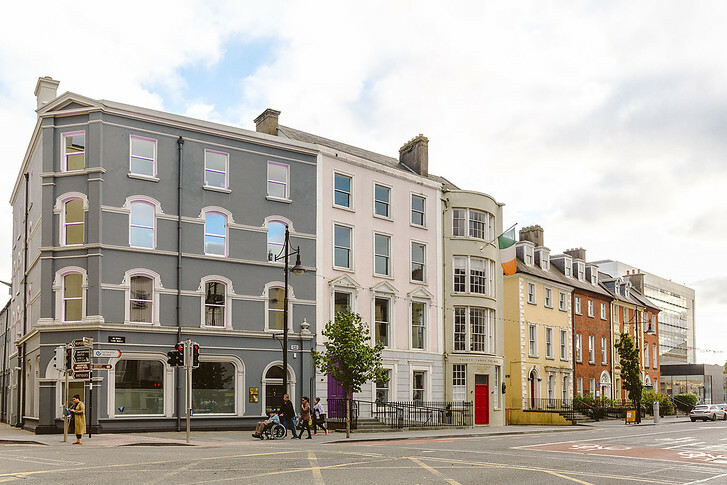 It’s conveniently located near lots of shopping and restaurants and about a ~10 minute walk from main sights like the Viking museum, Medieval Treasures museum and Waterford Crystal factory. Vikings from the North frequently launched raids on Ireland’s southeastern coast and over time, Viking settlements and defense forts grew to form the town of Waterford. This city is actually the oldest in Ireland, pre-dating Dublin by 74 years! 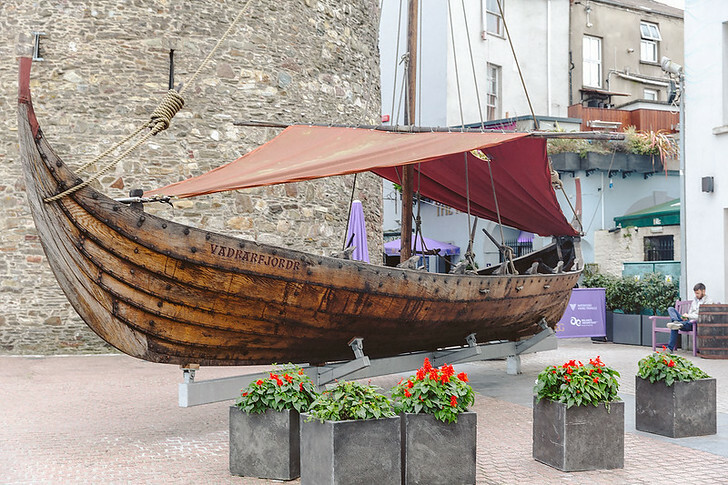 For a deep dive into Waterford’s Viking and Medieval past, you have to check out a trio of award winning museums (more on that below). I mentioned in my Killarney post that each Irish county has it’s own nickname and the southeast is affectionately called Ireland’s Sunny Southeast! Since this was the first town we visited after Killarney, I thought it was a bit of a joke at first. It was only after we left and road tripped through Connemara and Galway that I realized the true extent of how dreary weather in Ireland can be. Something topographical about the southeastern coast does give Waterford and Wexford a bit more sunshine and clear days. In comparison, it rained nonstop buckets in Connemara and had the most dramatic, foggy and gloomy feeling (in the best possible way). Waterford developed around its seaport in 914 AD and pieces of the city’s original walled defenses remain today. Have a look at the outer wall guardhouse inside Reg’s Pub! 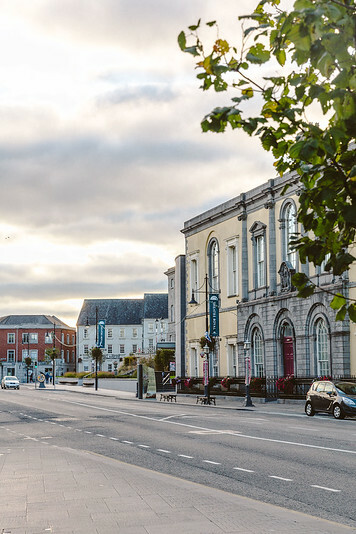 From historic city tours to modern day opulence, Waterford has lots to keep you occupied for at least 2 days. I’ve listed some of the most popular points of interest below as well as some day trip options trips from the city. 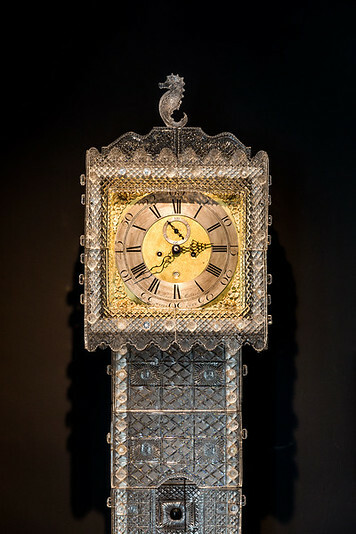 Waterford Crystal is known all over the world and their show stopper gallery is located right in downtown Waterford! We took the museum tour to learn about how Waterford Crystal is made and it was a treat. At the end, you get to see some showstopper crystal pieces, from trophies to statues to accessories. You can read my in-depth post here or book tickets online here. Waterford has some really unique museums. 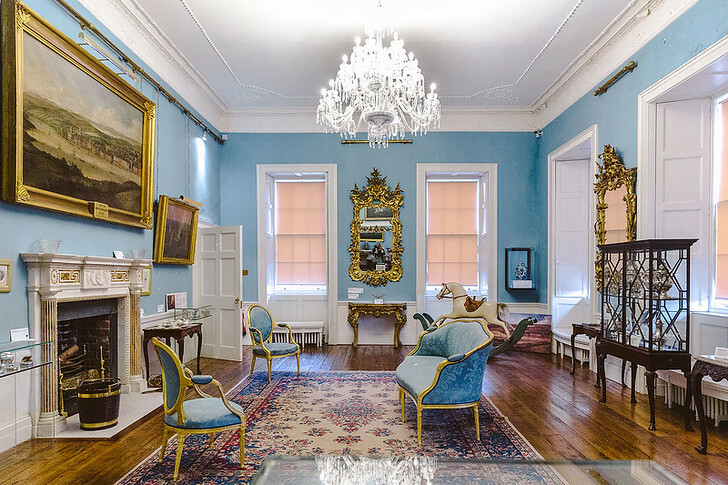 First, there’s the Waterford Museum of Treasures, dedicated to historical, medieval and religious artifacts associated with the city’s history. 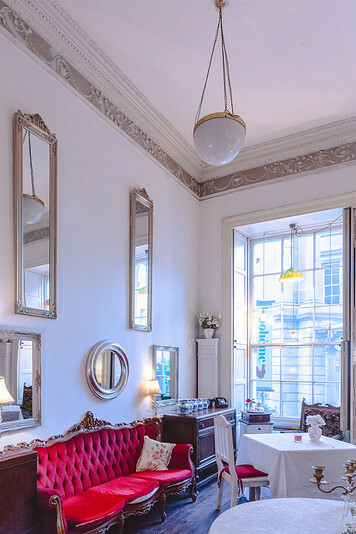 You can purchase a bundle pass to also visit the Bishop’s Palace and the Viking Museum – all 3 are part of the Viking Triangle and collectively called the Medieval Mile Museums. The Bishop’s Palace is a beautiful period house while the Viking Museum was my favorite. We took a virtual reality experience to learn about Waterford’s viking past which was so cool! I’ve never seen VR used quite so uniquely or effectively. 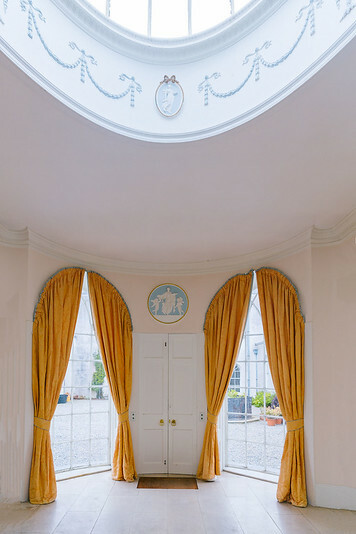 County Wicklow is one of the most green sections of Ireland but County Waterford is home to Mount Congreve! This stunning estate is known as one of the most stunning gardens in the world, with ~30 hectares of woodland, garden and flowers! If possible, try to visit in Spring when everything is in bloom. This stunning coast on Ireland’s east is named after copper mines which dotted the landscape in the 19th century. Today, there’s beautiful beaches, coastal views, cliffs and even locally brewed beer! 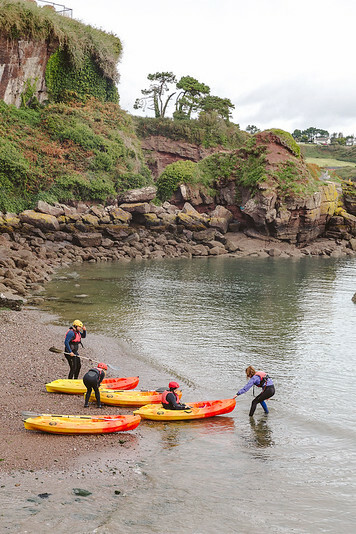 Stop at Dunmore East to try kayaking and water sports, Bonmahon to surf or Kilmurrin to take breathtaking pictures. This quaint, pretty fishing village is popular with local Irish in the summertime. 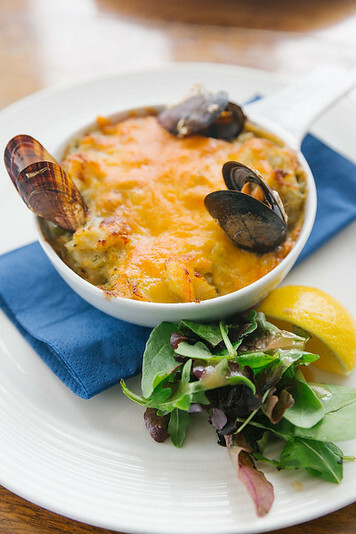 With a harbor designated as one of Ireland’s National Fishery Harbours, there are lots of fish caught here and luckily for visitors, great seafood to eat! You can also sail, golf, dive and deep sea fish. From the best seafood in Ireland to quaint Irish inns and vibrant Bluegrass festivals, there’s lots to do in Dunmore East. Counties Waterford and Wexford are two coastal neighbors, both worth visiting. Because the tight IRish roads and curvy cliffs can take quite a while to drive through, try the cary ferry at Passage East Ballyhack! If you’ve never taken a car ferry before, pop out and watch the slow, steady commute through the estuary. 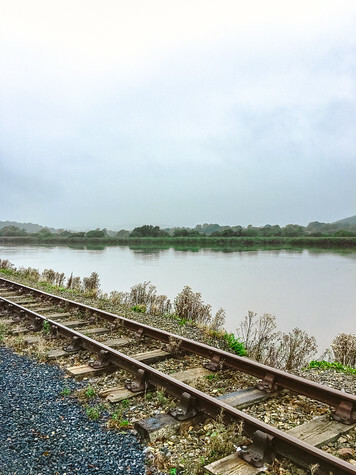 An old railway line linking Waterford and Dungarvan has been rebuilt into a public greenway. For a classic view of Ireland’s rolling hills, mountains and farmland, you can walk the 50km greenway, or rent a bicycle and cycle your way through. Stop at Kilmeaden Station for a short rest and coffee break. During the holidays, this refurbished old fashion station pulls out all the stops – from spooky carriage rides during Halloween to Santa rides during Christmas. Blaa bread may have a funny name but it also has an interesting history! Although indigenous to Ireland today, this yeast roll is thought to have been brought over to Ireland by French Hugenots. The actual recipe is protected under EU law (similar to how Champagne can only be called ‘champagne’ if from the region) so make sure to grab a slice of doughy, pale blaa bread during your time in Waterford! We liked ours with a heaping pile of butter and a hearty Irish lunch! Or, you can opt for a blaa sandwich, say stuffed with beef and cheese. We tried ours over lunch at The Reg – the food here was so good I wrote a whole post about it! Enjoy visiting Waterford, Ireland! Let me know if there are any restaurants or sights you think I missed in the comments.